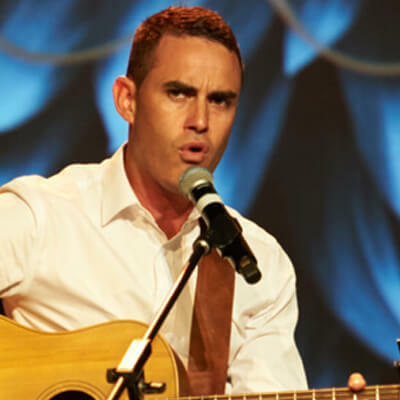 Growing up in the remote community of Ivanhoe in Western NSW, Australia with red dirt between his toes and soul in his heart, proud Ngiyampaa man Dane Kennedy was oblivious music would change his life. Dane had always had huge musical influences sitting at the feet of his Grandparents Roy and Beryl who played him Dobro and Piano accordion through to hearing old time soul, blues, rock and country albums blasted through family record players. It wasn’t until recent years, respected Aboriginal Elder Cedric Briggs opened his heart, giving Dane his prized guitar quoting the words “My old fingers can’t play this anymore”. With that quote Dane took that guitar and began his journey using his heart and soul to create a dark soul sound. Dane has performed along side acts including Christine Anu, Coloured Stone, Bonja, Sarah Mcleod, Dean Lewis and Jeff Martin and co written with the likes of Kevin Bennet, Mike Carr and Fanny Lumsden. Dane is based in Wagga Wagga NSW and has previously to travelled the USA recording his first original track titled “In My Mind” at House of Blues in Nashville, which was written after the loss of his brother. It expresses his struggle to come to terms with this tragic event.